Revive, the isotonic drink made by Etika Group of Companies for PepsiCo, is now available in a smaller pack size of 1,250ml at 7-Eleven in Malaysia. At the moment, the 1,250ml Pepsi is selling at 99 Speedmart. 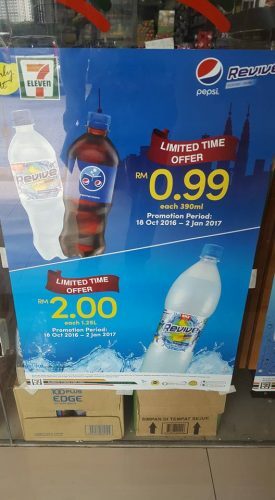 Both Pepsi and Revive in 1,250ml has a retail price of RM 2.00. 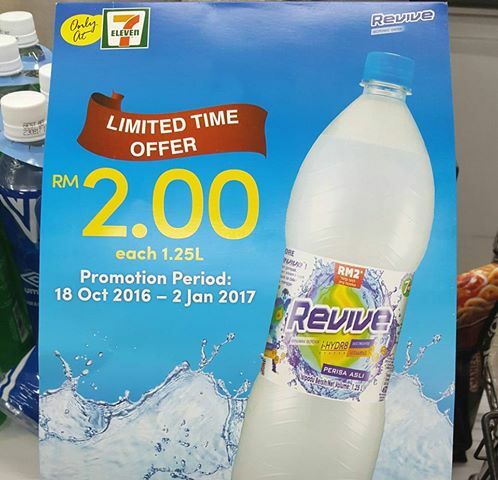 The promotion period for the 1.25L Revive is around 1.5 months from 18 October 2016 to 2 January 2017. Also back at 7-Eleven is the 390ml Revive and Pepsi each selling at RM 0.99. 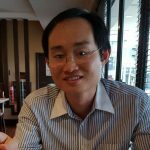 The promotion period is the same from 18 October 2016 to 2 January 2017. A similar promotional campaign for the 390ml format at 7-Eleven was held for 1 month from 5 July 2016 to 1 August 2016. Now it is back and the 390ml and 1.25L formats are expected to put pressure on The Coca-Cola Co, which has not tapped the convenience store channel for its 390ml and 1.25L value-pack variants.